30.3.2011 – While President Obama has insisted that no American ground troops join in the Libyan campaign, small groups of C.I.A. 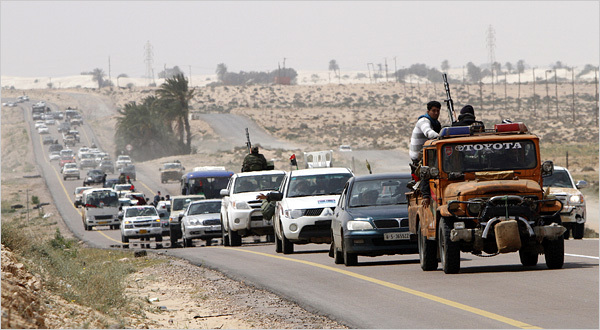 operatives have been working in Libya for several weeks. President Obama has signed today a secret order authorising covert US support for the Libyan collaborators, Reuters reports, citing government sources. The CIA and the White House have declined immediate comment. This entry was posted in Uncategorized and tagged Chaotic retreat, Libya, Libyan NATO collaborators, lies, Obama on March 31, 2011 by kruitvat.